Climb into any cab today, and odds are it’ll be running with self-adjusting brake adjusters (S-ABAs). In fact, an estimated 95 to 98 percent of tractors on the road today have automatic slacks, largely because they’ve been required on all heavy-duty vehicles since 1994. Why? Better performance. S-ABAs automatically maintain proper brake-lining-to-drum-surface clearance, eliminating the need for constant manual brake adjustments. And that means you can stop more quickly and efficiently – for many more miles. But S-ABAs aren’t foolproof, so they need to be checked often. In fact, marking and measuring brake stroke is technically part of the pre-trip inspection process, which means it should be completed before every job. Gather a few materials, including a ruler, chalk to mark the pushrods, a flashlight, protective eyewear, and a pencil and paper. Also, while you can measure brake chamber stroke alone, the process does go more quickly with an assistant. Park the truck in a safe location, but keep the engine running. Chock the wheels to prevent rolling, and release the spring brakes. Then, check the supply pressure in the air brake system reservoirs to make sure it’s between 90 and 100 psi. Check each brake to confirm it’s in the normal, released position and there’s no obvious damage. Then, use chalk to mark each pushrod level with where it exits the brake chamber or chamber mounting bracket. Fully press and hold the service brakes, and have your assistant note the new pushrod stroke values. If the reservoir pressure drops below 90 psi, just take a short break and let it rebuild. Review the federal regulations for pushrod stroke limits, and see where you fall. If any chamber stroke measurements are at or near the limits, it’s time to have your braking system inspected. Although S-ABAs don’t usually experience overstroking, it can occur. And while it may be tempting to manually readjust an out-of-range S-ABA yourself, don’t. That’s because overstroking S-ABAs are caused by problems somewhere else in the wheel end, such as the adjuster itself or the drum. So while a manual adjustment may bring the brake back into compliance, it will only be a short-term fix. In addition, you can damage an S-ABA and strip the gears inside by manually adjusting it. Instead, schedule a comprehensive brake check, and let the professionals examine your entire wheel end. And don’t delay! Remember, brake stroke is the most ticketed item in DOT inspections because it impacts your ability to meet federal reduced stopping distance (RSD) regulations. Inspectors will measure brake chamber pushrod stroke down to 1/8 of an inch during roadside stops, and pushrod stroke that exceeds federal limits can result in an out-of-service violation. Got questions about your truck’s braking performance? 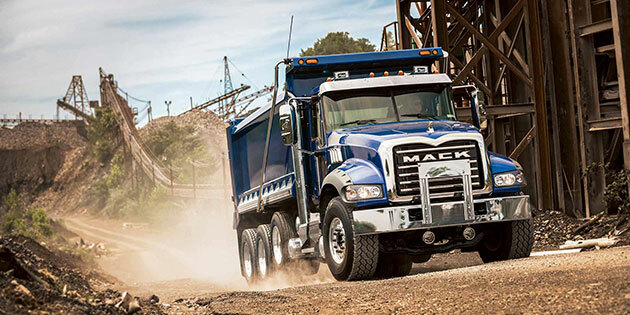 Let the experts at your local Mack Trucks dealership help. They’ll examine the components of your brake system for damage or wear, measure your slack adjuster’s stroke limits, and let you know if any repairs are needed to ensure you can stop safely – and legally. Even if you handle all your truck’s maintenance in house, we can still help. Just log on to the SELECT Part Store™ any time day or night for exclusive discounts and next-day delivery on key braking system repair products, including lubricants, self-adjusting brake adjusters and complete brake chambers.